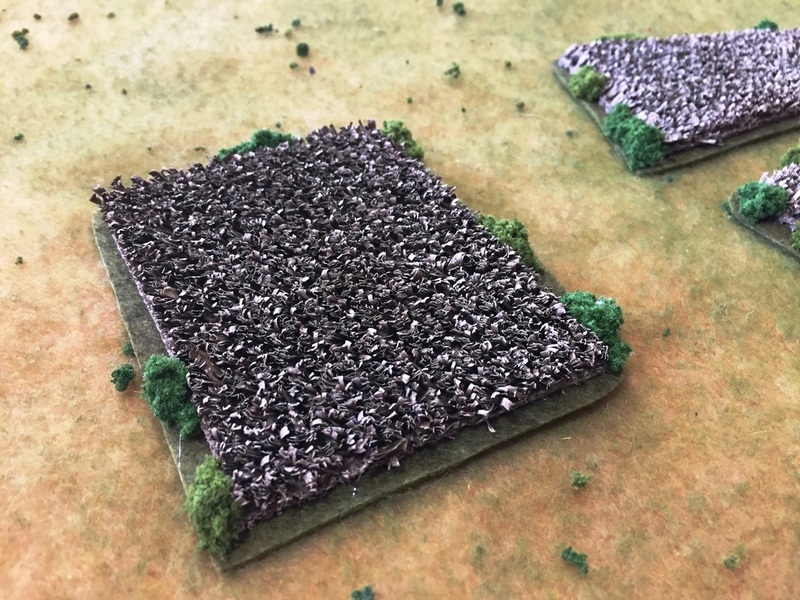 Ready to make a stunning tabletop for your 6mm game? 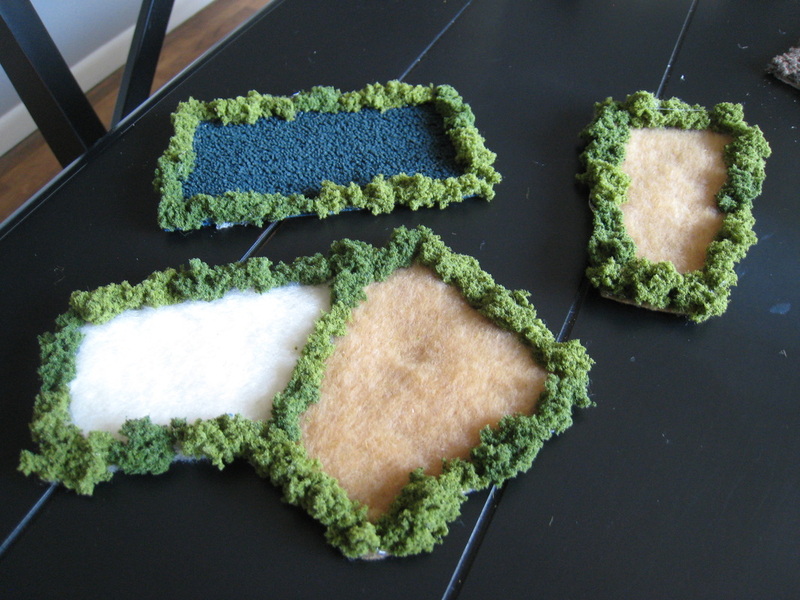 We've all played wargames on kitchen tables, haphazardly covered with a roll of green felt. Roads are represented with jagged strips of brown felt, rivers with an offensive shade of blue. 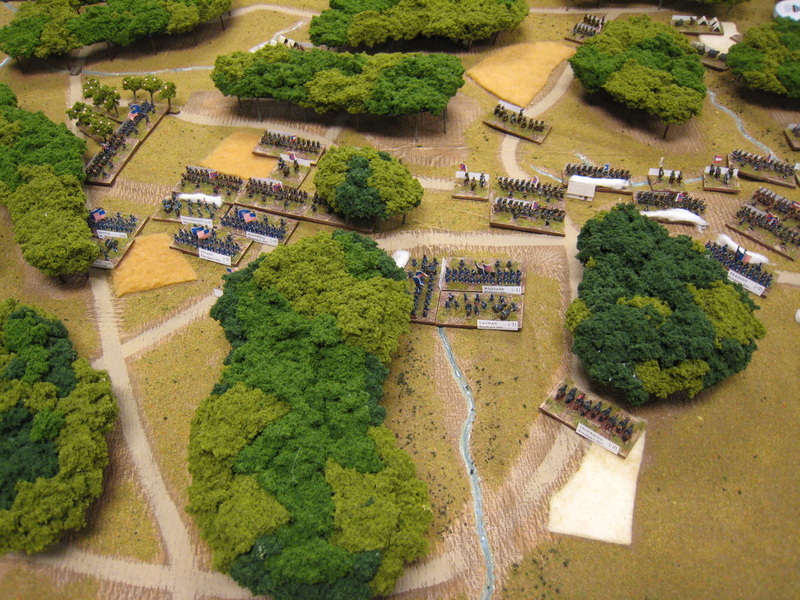 But in miniature wargaming, creating a great battlefield is as important as the miniatures themselves. That's what the hobby is all about! 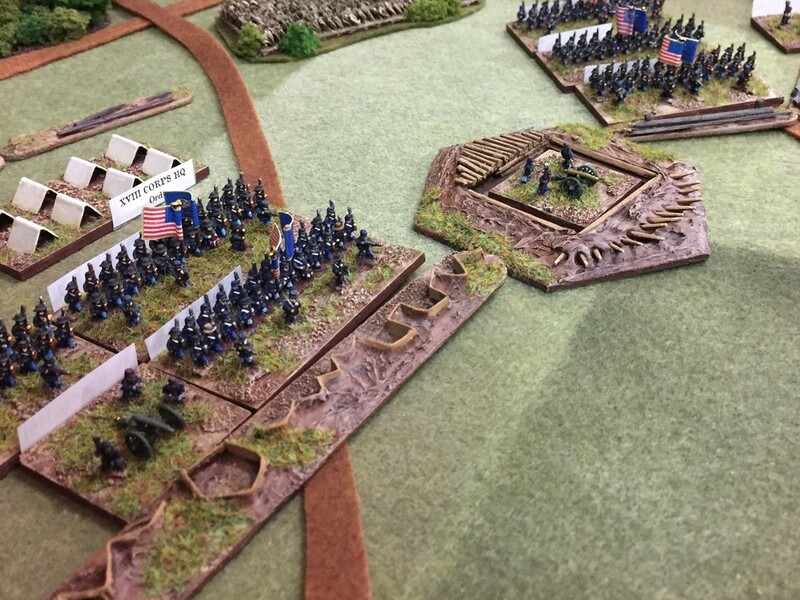 This page offers ideas and tutorials for how you can design a tabletop like Pea Ridge, pictured to the right. You may be surprised to learn how easy it can be to create incredible 6mm scenery on a budget, using only basic craft materials. 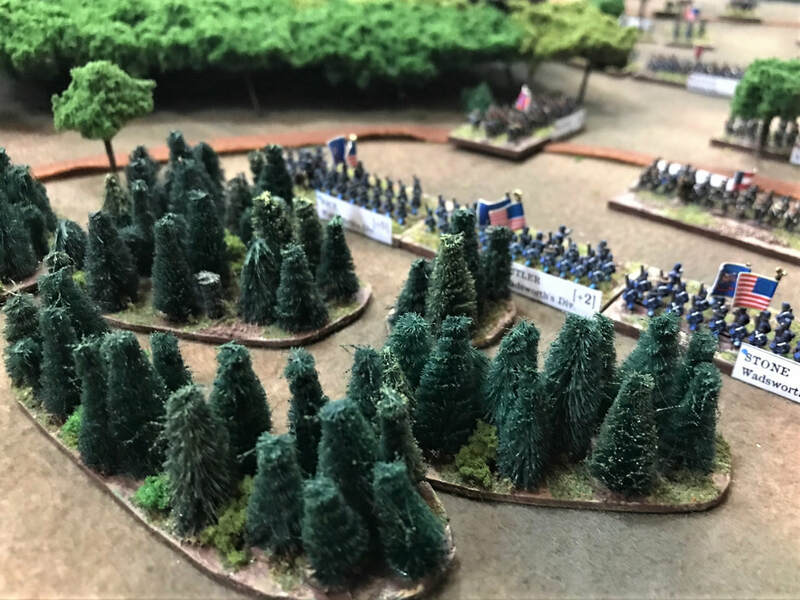 A step-by-step tutorial showing how we created a custom 4'x4' table for the 150th anniversary of the Battle of Shiloh! 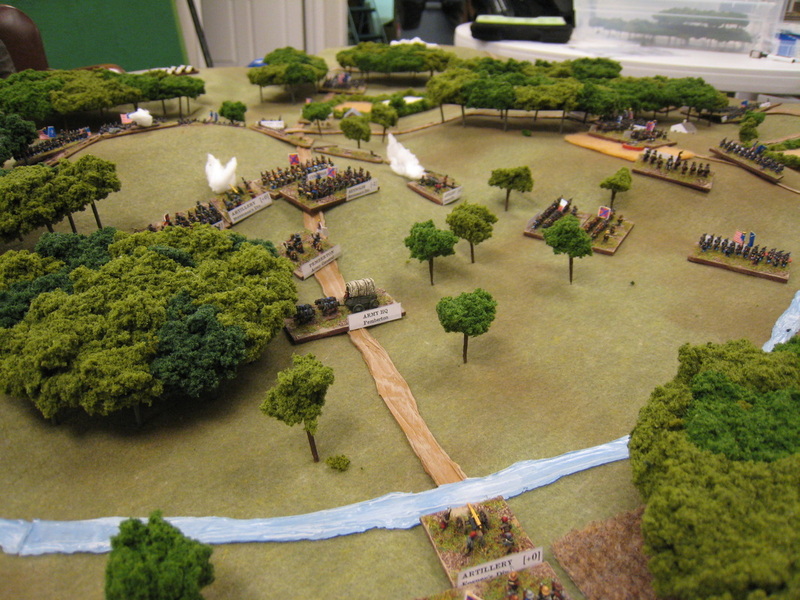 Follow another photo tutorial to see how we built this custom 8'x5' table for the 150th anniversary of Gettysburg.